Best Free Medical WordPress theme builds with Genesis Framework, Community Forum supported by wpForo Forums, Responsive Layout, Easy to Customize! Truly comprehending what information that a patient needs to find on a medical website, our talented developers have developed Medical WordPress theme in the way patients can find the information they need easily. 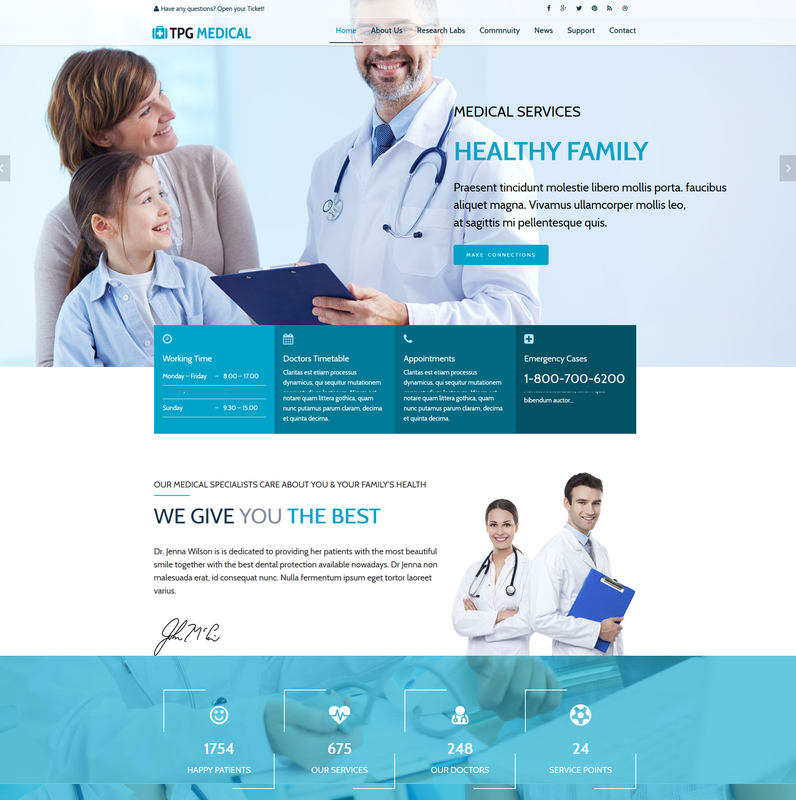 TGP Medical is a premium WordPress theme with an elegant design which is perfectly matched for hospitals, dentist, clinic or any healthcare centers website. Besides, TGP Medical is a helpful featured WordPress theme which brings convenience to consulting services that your hospital offers as well as make an appointment online easily. The theme comes with the modern, neat design with nice content organization, which will not make visitors boring while exploring the site. Besides, with Google map integration, it is the best way to get patients who are in need approach closer to your center by giving them the exact look of how to get to your place. The theme has been equipped with full of necessary utilities like Forum, Ticket Support for exchanging medical knowledge between doctors with each other, or providing patients important advice for their diseases. 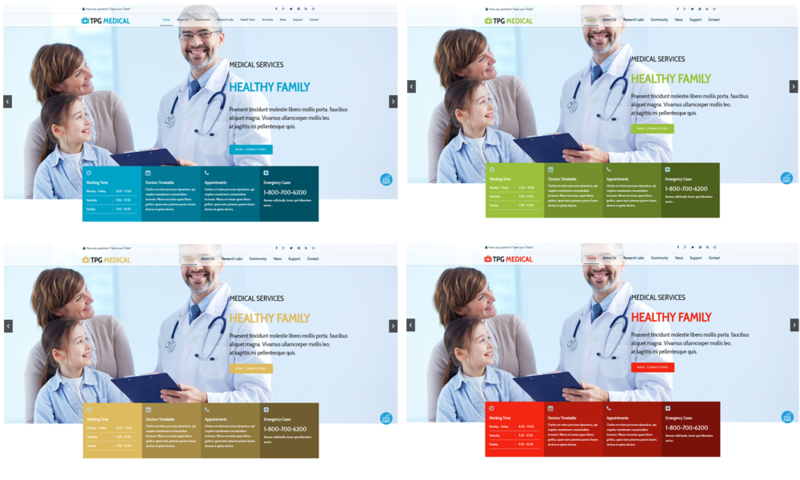 TGP Medical uses powerful Page Builder to help you manage your site from the backend, so it is no longer complex for you to edit your site content, because the theme is fully customizable. 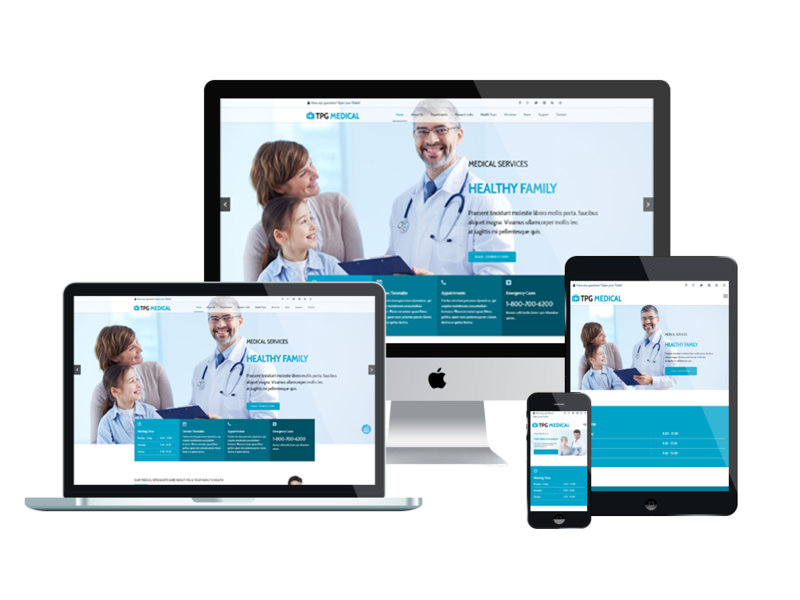 Notably, this Medical WordPress theme also provides your site with a highly responsive layout which is going to be gorgeous on all mobile and PC screen resolutions. There is no reason to wait for any other better theme than TPG Medical, let’s see the Live Demo for a clearer look!